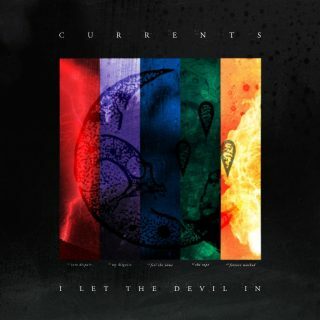 Currents : I Let The Devil In album download | Has it Leaked? A hard-hitting American djent/metalcore unit based out of Connecticut, Currents began operations in 2011, and spent the next few years finding their voice, eventually settling on a lineup that included Brian Wille (vocals), Jeff Brown (drums), Chris Wiseman (guitar), Ryan Castaldi (guitar), and Dee Cronkite (bass). Drawing inspiration from bands like Northlane, Architects, and Structures, the newly minted five-piece spent two years piecing together and then honing the material that would make up their debut album. The resulting The Place I Feel Safest arrived in 2017 via Sharptone. The band is slated to release "I Let The Devil In", an EP on December 14th, 2018.